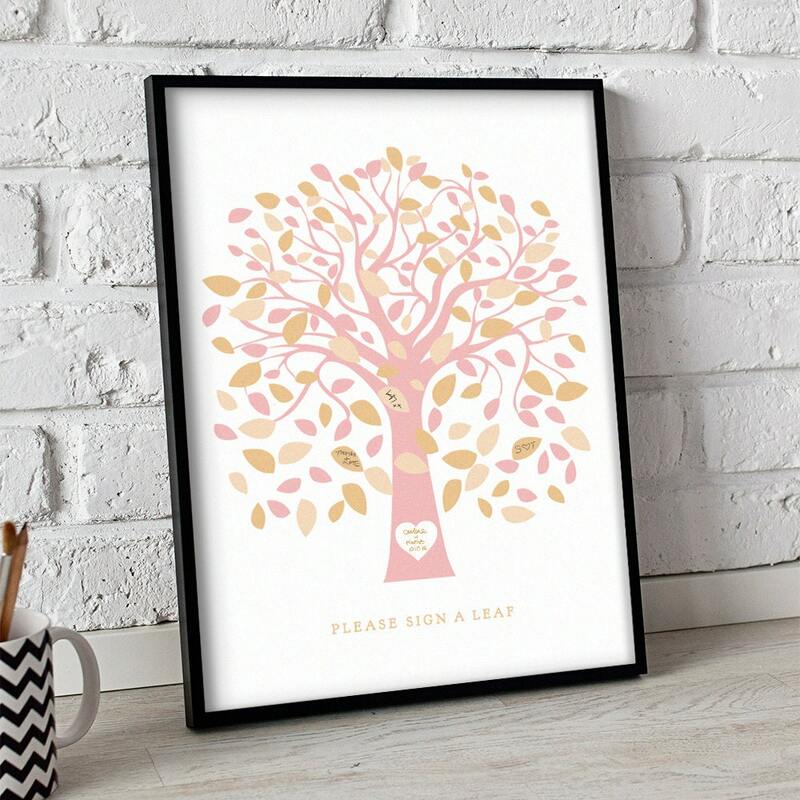 Printable Signature Tree poster with coral and mint leaves. Instantly download and print this 18x24 signature tree. 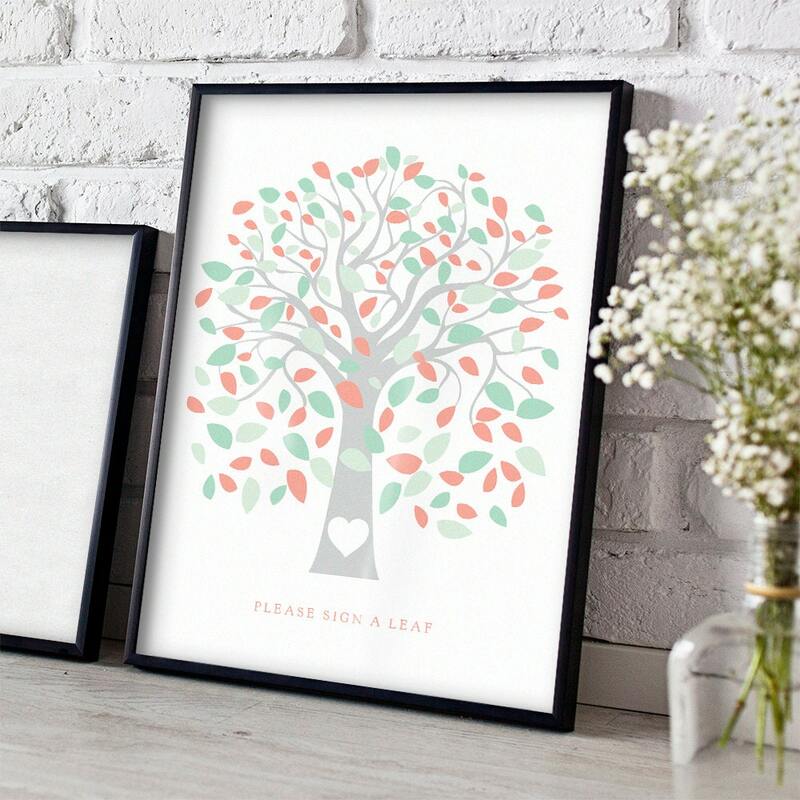 Handwrite your names or initials in the heart, with your date of wedding, and your guests can sign a leaf! •	18x24 PDF Signature tree to print at your local print or copy shop. This listing is for the MINT & CORAL leaves.